Some of us are just so fond of plants and pets at the same time. The problem is, we also can't find a way to have them both in a house without one ruining another. Here are some dog-proof tips for your lovely lawn. 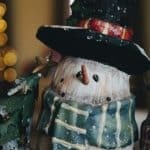 Some of us are equally as fond of plants and pets that we want them both in our garden. The problem is, we also can’t find a way to have them both without one ruining another. 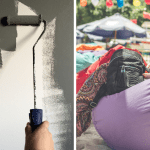 But, thanks now to these house tricks, you can transform your beloved garden into a dog-friendly environment. 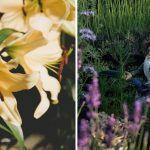 With these top tips, rest assured that both dog and plants will exist in harmony during the hotter months. Prevent your dog from escaping your garden through a rigid fence. If you want your lovely pooch to roam around the yard without a leash, make sure your fence has no holes. Also, fences can be useful if you don’t want the pet to ruin your garden area. Make sure this division is tall and robust enough to prevent your dog from reaching the plants. 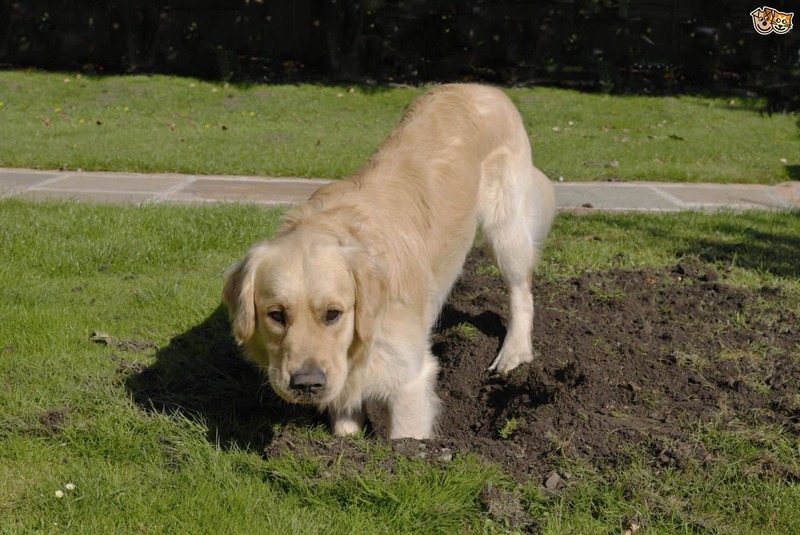 Dogs love to dig especially when they see large patches of soil that encourages them to. 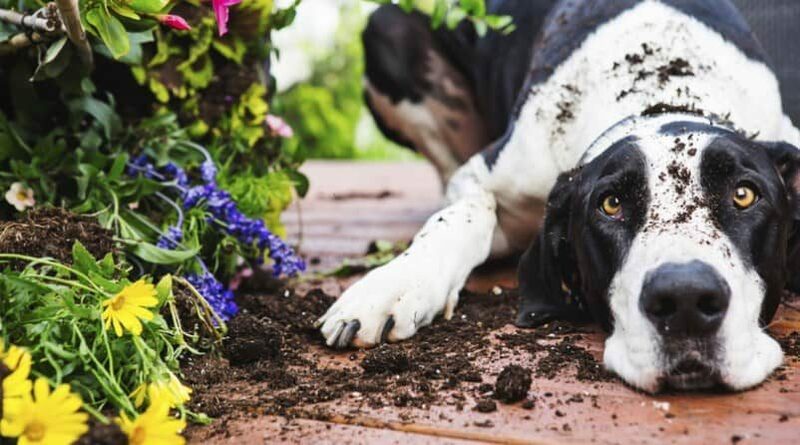 Cleaning them up will prevent your pooch from ruining certain areas of your garden and covering things with dirt. Aside from high fences, you can construct low borders or barriers to prevent your dog from crushing your plant beds or urinating on them. Raised plant beds will protect your crops from dogs. They will also keep the beds neat and tidy. One of the most common thorn plants people love to grow is cacti. Despite being a beautiful ornamental plant, they are harmful to your dog. 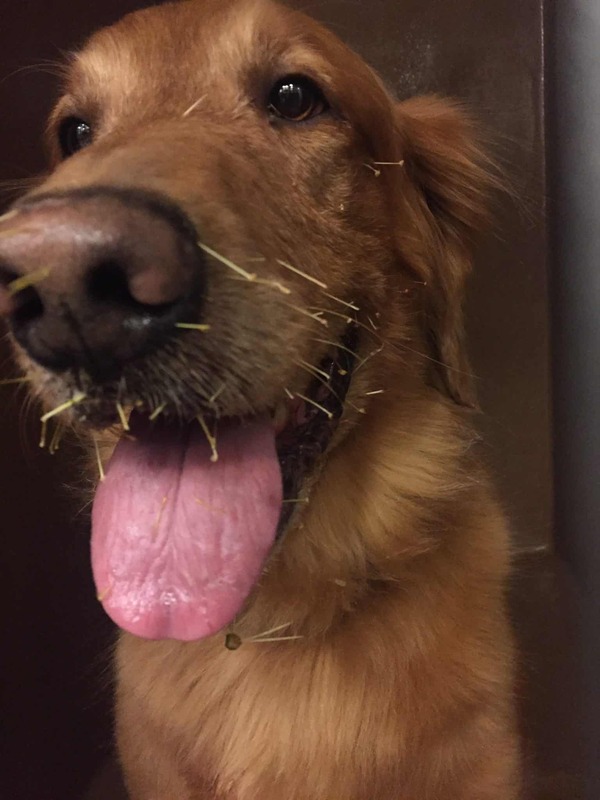 There are chances that the plant’s prickles might get stuck on your pooch’s fur. 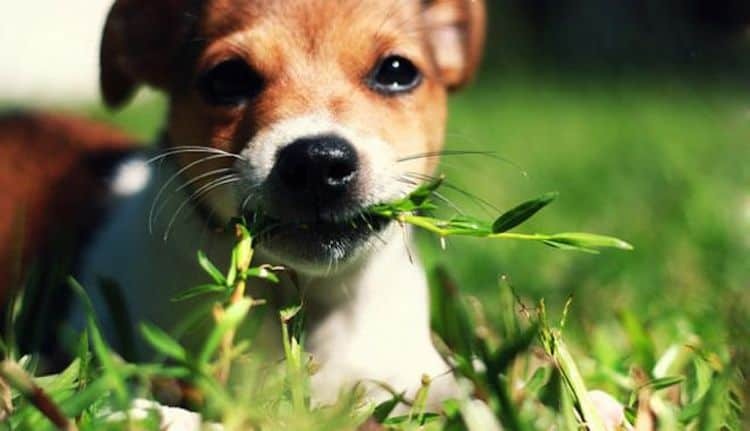 Do a little research and look for the list of plants that can bring harm to your beloved dog. Some of the most common examples include onions, garlic, chives, foxglove and crocus. These plants can be toxic to your pets once they have ingested them. Therefore make sure you avoid having them in your garden, especially if you have a dog at home. We all know that most dogs love the water and swimming in ponds and pools. This means that you can prevent them from traipsing dirty pond water into the house by covering them when not in use. For puppies, this will also protect them from any danger in the water when left unsupervised. 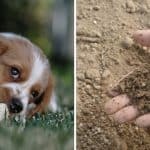 Dogs can dig up your lawn or urinate and poop on it. This can affect the condition of your grass causing deterioration of their growth and ruining their roots. To deal with this, you can try planting strong self-repairing grass, such as Buffalo grass or Kikuyu to maintain a perfect looking lawn. Provide your dog with some space to play in your garden. Of course, if all it has to run around are your plant beds, there is a larger chance it will play with your crops. But if you put some of your pet’s favourite toys and treats in an open space where it can play around without going to your veggies, it will protect the rest of your garden from dog damage. This may look like it doesn’t need to be stated anymore but we still tend to neglect and forget it sometimes. 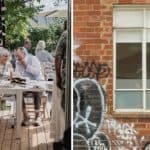 So just a blatant reminder to always shut your gate firm to prevent your dog from running off. As well as to stop other dogs from coming in and ruining your garden.